NASA’s Curiosity Rover recently snapped a sunset picture in which Earth appears as bright star on the horizon. On Earth, Mars appears as a steady red point of light in the night sky. 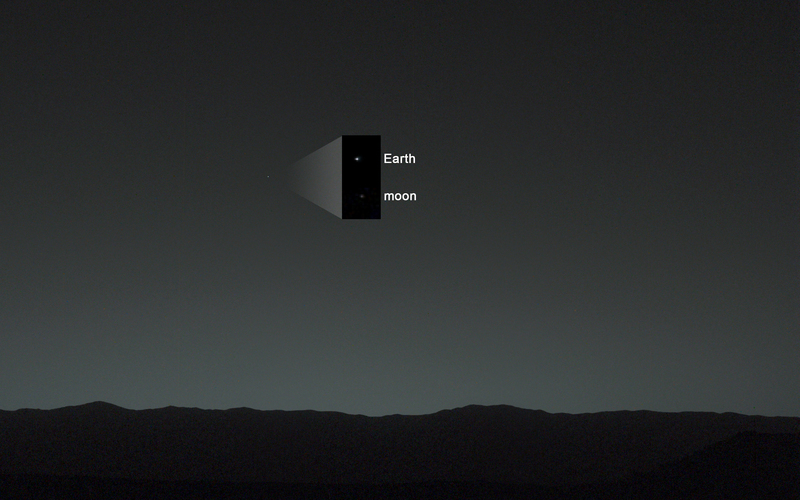 Now we know how we look to Mars: the steady blue point of light.